Singapore—Over the weekend, an app was launched in Singapore that is aimed to feed the increasing number of hungry people all around the country. 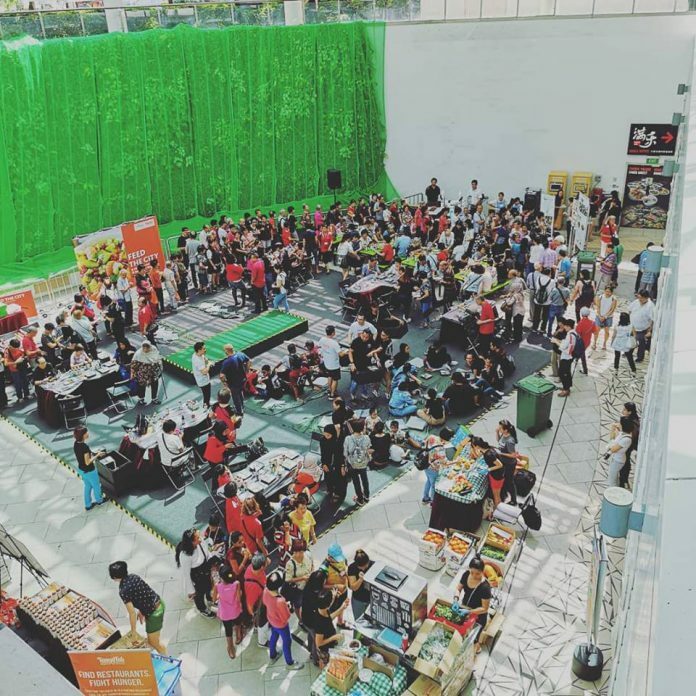 TangoTab, which has been available in the United States and Canada in the last few years, joined hands with Food Bank Singapore (FBSG), and together, they were able to feed 1,000 people on Saturday, April 13. How does Tango Tab work? Food establishments work in partnership with TangoTab. When a diner registers on the app that he or she is eating at a TangoTab partner restaurant, Tango Tab donates funds to FBSG that will go toward feeding someone who’s hungry. According to its profile, “TangoTab is a free service with free offers that supports a GREAT cause. TangoTab offers compelling discounts to local restaurants that are available for immediate use. There’s no need to pre-purchase, just claim an offer, visit the restaurant and enjoy. Since it was founded in 2012, TangoTab has been able to donate more than 3 million meals to hungry people in different parts of the world. A press release from TangoTab says that each week, 7 out of 10 Singaporeans have dinner in a restaurant, and over 6 out of 10 have lunches out as well. Andre Angel, who founded Tango Tab and is currently its CEO, says that the company selected Singapore for launching the app since it’s viewed as a country where people take care of their neighbors, the Straits Times (ST) reports. There are already more than 500 restaurants across Singapore, including Ya Kun Kaya Toast and McDonald’s, that have partnered with TangoTab. Mr Angel added that his company has not received a “no” from any of the restaurants they’ve asked to become partners of TangoTab. He also said that FBSG has always looked for “innovative partnerships” in order to fulfill its mission. Mr Ng said that some of FBSG’s beneficiaries don’t even get to have hot meals. TODAY reports him voicing his concerns that Food security in Singapore is “getting worse,” as proven by a Lien Centre for Social Innovation study of 236 households in 2018 that shows that almost one out in every 5 people in the country are subject to severe food insecurity. The event was held at City Square Mall in Kitchener Road. Attendees were not only fed, but were able to participate in cooking demonstrations, attend talks on food insecurity and food waste issues, and learn much about these issues.